The Mediterranean Sea, I see!!! Having lived in Cyprus now for quite some time, it always amazes me that so many of its visitors aren't even aware that it is in the Mediterranean Sea. 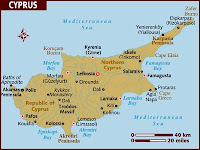 was "In which sea can you find the Island of Cyprus?". At which there were many panicked looks on the faces of quite a few ex-pats, who couldn't for the life of them, remember where they now lived. 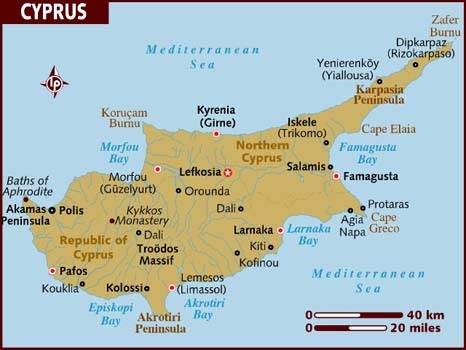 So for all of you reading this, I thought I would give you a bit more information about the Mediterranean Sea and the Island of Cyprus because actually, it is quite interesting. Oops, no we don't have to go back quite that far but we are looking at more than 5 million years ago. When the continental plates shifted and the Red Sea was formed, the basin where we now find the Mediterranean sea became land-locked and several times over the following millenia, the basin flooded and evaporated again as the Earth's Crust shifted, leaving salty marshes and desert in its wake. Then around 5 million years ago came the worst flood known. Some believe this deluge was caused by a cataclysmic Earthquake that opened the Gibraltar Sill. Water from the Atlantic was able to breach the mountain ranges that joined Africa and Europe and filled the basin up. Over 2 years, the level of the Mediterranean sea rose by more than 10m per day and in total, it is said that the whole basin took 100 years to fill. the middle of the Land". Not actually one sea, the Mediterranean is made up of several smaller seas, such as; the Aegean, the Ionian, the Levantine Sea etc. It stretches from the Straits of Gibraltar to the coast of Turkey, Syria and Israel and has an average depth of 1,500metres. The deepest recorded depth is 5,267m in the Calypso Deep in the Ionian Sea, 45 miles south west of Pylos, Greece. The Med links the three continents of Europe, Africa and Asia and the temperatures never drop below 10 degrees Centigrade. It is complex and diverse in all aspects; Geologically, historically and with regards to Climate. The major threat to the Mediterranean sea is man's influence. Building, pollution and over fishing all play there part in man's intrusion on this body of water and the life you can find there. In fact the mediterranean sea is one of the world's most threatened seas and currently, its saving grace is the continuous flow of water from the Atlantic Ocean. Water from the Atlantic Ocean flows into the Mediterranean Sea. This is cooler water and, as it flows eastwards, the water warms and evaporates leaving the denser, saltier water, which then sinks in the Levantine Sea, around Cyprus and circulates West to spill over the Straits of Gibraltar. 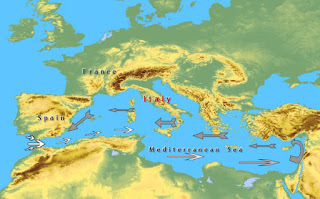 White Arrows show water movement from Atlantic into Mediterranean. Grey arrows represent denser, saltier water movement Westward out of the Med. As a result of this cycle of water movement, we have less plankton in the Mediterranean Sea, meaning less sea life (plankton is at the bottom of the food chain) but we have clearer waters. You can expect 30-50metres visibility in the sea around Cyprus. So that is a bit of information about the sea which surrounds our little Island. I hope you have found it interesting and maybe, it has raised a few more questions. Was this flood that created the Mediterranean Sea the basis for the Floods that appear in all religions around the world such as Noah etc? How does this flow of water from different areas affect the marine life living in the mediterranean sea? 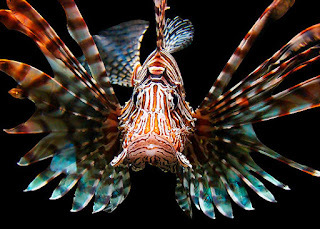 Not only do we have this influx of water from the Atlantic but the Suez Canal has also opened up a route from the Red Sea to the Med and there have been sightings of exotics such as lionfish and triggerfish, that are not native to this region, which surely must have an impact! As Divers we can be the first to spot these changes and report to our local fisheries department to keep a track of what is happening in our sea and by knowing a little more about it we can, hopefully help to save this delicate ecosystem before it is too late. 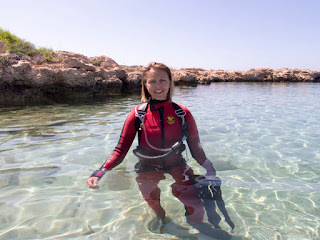 How exciting, one minute I'm just a Scuba Diver and now, I am a Scuba Diva who has been asked to guest-blog about my favourite past time...Scuba Diving!! 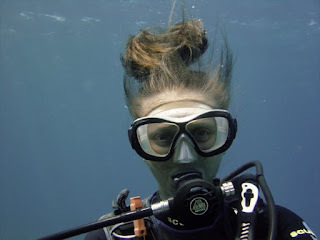 So, my name is Shelley and I am a Diving Instructor. 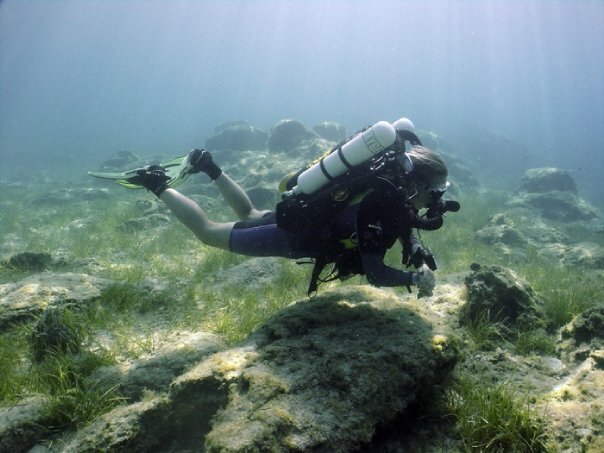 I first learned to Dive in Cyprus back in 2004. That's nearly 10 years ago, so I guess I am starting to get old because I don't know where the time has gone! My first Dive was a PADI Discover Scuba Dive with Peter Crane, instructor and owner of Scuba Tech Diving Centre. I worked as a Thomson entertainer for the Gold holidays and he was doing pool shows in my hotel. Needless to say, I was hooked from the first breath. I signed up straight away for the Open Water Course and by the time I left the Island 6 months later, I was a Rescue Diver with my sights set on Divemaster. Since then, I have become a PADI instructor, a Trimix Diver, Sidemount Diver and have even had a try dive on a rebreather. 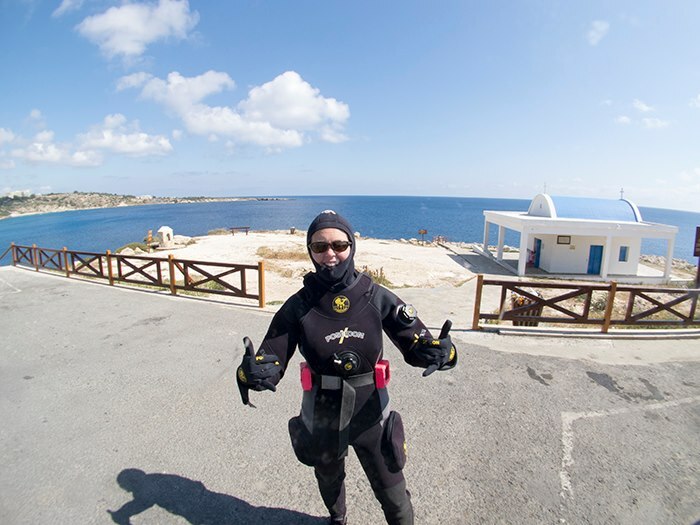 Teaching Diving in Cyprus I see many divers come and go in a year and one thing I have noticed is that girlies are often still quite reticent when it comes to Scuba. Lots of them only learn to dive when co-erced into it by their boyfriends/husbands because they need a buddy. DIVING IS NOT FOR GIRLS!!! Girls can make exceptional Divers and with our teeny weeny lungs, we are often much better on air than our male counterparts (which makes them a little bit jealous!!). We also tend to be a bit more cautious as Divers rather than steaming in and pushing the boundaries but there is nothing wrong with a bit of conservatism and I am speaking in general terms. This is by no means the rule, as there are plenty of women out there exploring this new frontier with the best of them. What I will say, is that Diving is not for ladies. By that, I mean that if you are a girl who always likes to look immaculate, with properly groomed hair, nice nails, full make-up and flattering dress, this sport probably isn't for you!! If, by contrast, you don't mind wearing an unflattering rubber suit that shows off every bump and curve, having hair like a troll doll under water and looking like a rastafarian when you surface with dreadlocks that haven't seen a comb in months and (this is the biggy) you are ok with having copious amounts of snot that dries across your face that even your buddy doesn't tell you about, you have probably found your place in the world as a Scuba Diver. The most important point to remember is that Scuba Diving is great fun and it shouldn't be something we miss out on because we are girls. I want to go Diving! Great, let's do a Check Dive. A Diver contacted Scuba Tech Diving Centre a couple days ago by email with a request to Dive the Zenobia with us. I wrote back, as we always do, with the information about the dives, timings and prices and of course, the fact that, we always complete at least one shore dive as a check dive prior to Diving the Wreck. A prompt response quickly came back stating that this Diver was a very experienced Diver with 50 Dives under his belt, a PADI Advanced Open Water Diver and dived 6 months ago in Thailand, so why did he have to do a check dive before the Zenobia? Immediately for a Dive Professional, this is when alarm bells begin to ring! Since I have been involved in resort Diving, I have come to the realisation that, the best Divers, who have lots of experience and are fantastic in the water, are usually the ones who will expect to do a check dive and do not quibble over it. Whenever I go diving somewhere new, I always expect the first dive to be a check dive, on the house reef normally to sort everything out before moving on to the better dives and I am an instructor with 20+ years experience and literally thousands of dives under my belt. Now, when I talk about a check dive, I am talking about a proper Dive. I am aware that there are some Dive Centres in the world who do "take the Mick" and dump divers into 5m of water (or a swimming pool), go through some basic skills and pronounce them fit to dive, while rubbing their hands together and collecting the price of a full local dive. This is nothing short of an abuse of power and these centres should be named and shamed. However, most Dive Centres around the world will give you a proper Dive as your Check Dive. Here at Scuba Tech, we go to a local Cyprus Dive Site with a depth of around 18metres, with swimthroughs and tunnels. We have a good, long dive until Divers get cold or start to get low on air. Sometimes our check dives have been up to 90minutes in the water. What is the point of the Check Dive? The check Dive has a number of benefits to both the Dive Centre and the Diver. From the point of view of the Dive Centre, it gives our instructors and Divemasters a chance to see you in the water on an easy bimble around a local dive site, that isn't too deep and get used to your diving style. We can get a feel for your air consumption so that on the Zenobia Dive, we know what air you will need to make an ascent and not bring you up too early or too late. 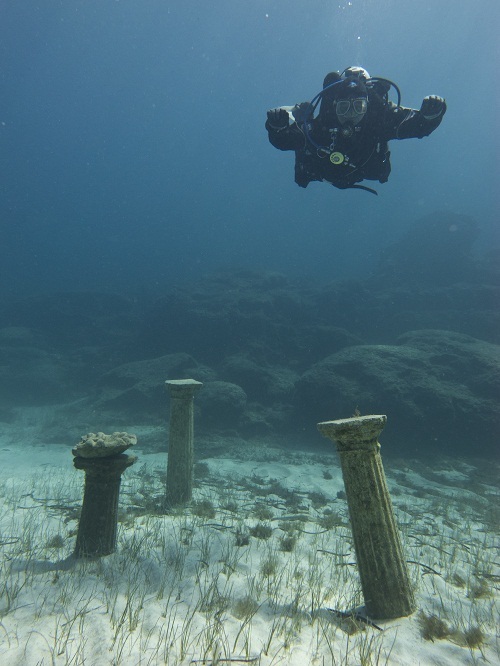 Also, it means that we have a chance to pre-empt any problems you may have Diving the Zenobia or the deeper Dives. If we spot anything that could cause problems or an equipment malfunction or leak, it is a chance to sort it in shallower water close to the dive centre, where we have all the tools required availble to us and not 1500 metres out to sea, on a boat with a limited spares and tool kit. Remember, if something does happen on these deeper dives, it is your guide who has a duty of care to sort it out. It is imperative that we make these dives as safe as possible for you, the diver and all our members of the Scuba Tech Team. 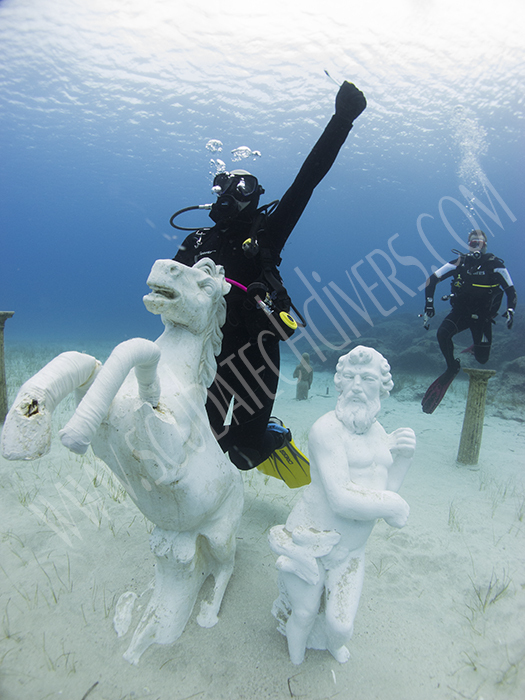 For the Diver, a check Dive gives you the opportunity to get comfortable in a new environment. Everywhere is different, so you will need to perform a weight check and adjust accordingly. Many Divers who come Diving in resort think they need a lot more weight than they actually do, so this is an opportunity to get weight sorted and optimised before moving on to the bigger dives. Weighting is an issue very close to my heart and you can read more about my opinions on this in an earlier blog, "A weighty Issue". 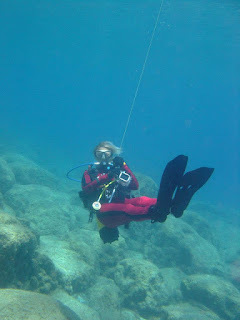 Another good reson for a check Dive is Equipment. If you are hiring equipment from your Dive Centre, it will likely be different to that which you have dived before and a check dive gives you the opportunity to get used to the controls, so on the more adventurous dives, everything is second nature to you. Also, if you find items such as the mask doesn't quite fit correctly and it is leaking, or maybe it needs a spot of toothpaste to stop it from fogging up, this can be remedied before the bigger dives. You don't want to miss seeing the Zenobia because of a fogged up mask!!! Equally, if you have ever seen the baggage handlers at an airport, you will know that the bags get thrown about a bit. So, if you bring your own diving equipment with you, there will always be the possibility that some bits of your diving equipment could get damaged in transit unless you are going to bubble wrap each item before you travel. Again, the check dive will allow you to ensure that everything works in tip top condition at a site that is close enough to the dive centre to be able to pop back and fix any problems. Once we are on the transport boat to the Zenobia, there is no turning back and if the equipment doesn't work and cannot be fixed with the tools available, you lose a lot more than than the 20/30 euros you would have spent on a check dive. So, for me, the Value of a check dive is the peace of mind that comes with knowing the bigger, more expensive dives will be that much more enjoyable and comfortable. I will have the correct weights, properly working diving equipment that I have personally been able to verify and a dive guide who is comfortable diving with me, who has an idea of my diving styles and preferences and can tailor the dives I am going to do to my ability and preferences. The Value of a Check Dive?... Invaluable!! 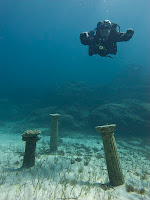 New for 2013, we are offering Sidemount Diving Courses in Cyprus at Scuba Tech Diving Centre. After a lot of research into the different sidemount diving systems available, I chose the Razor Sidemount System. There are a number of reasons for this choice but I will go into this a bit more at a later date. Today, I want to talk about Sidemount Diving itself. 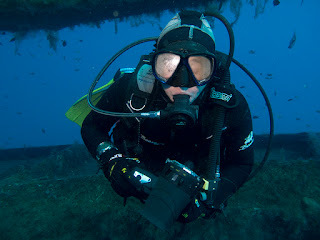 Sidemount Diving originally comes from Cave Diving. It basically describes an equipment configuration that allows the Divers cylinders to be mounted alongside the diver, underneath the shoulders and along the side of the hips instead of the usual "tank on the back" configuration. 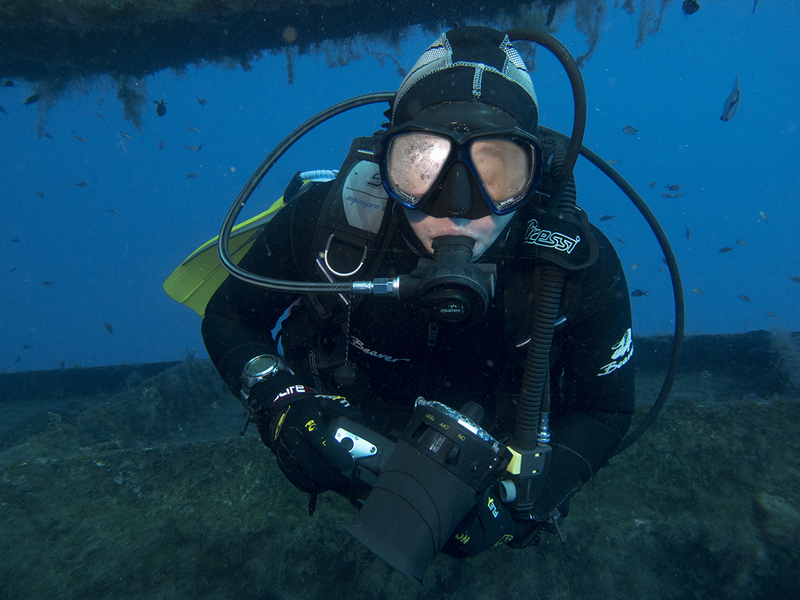 Now Sidemounting is gradually becoming more popular in mainstream diving and Technical Diving. Why is Sidemount Diving so popular? 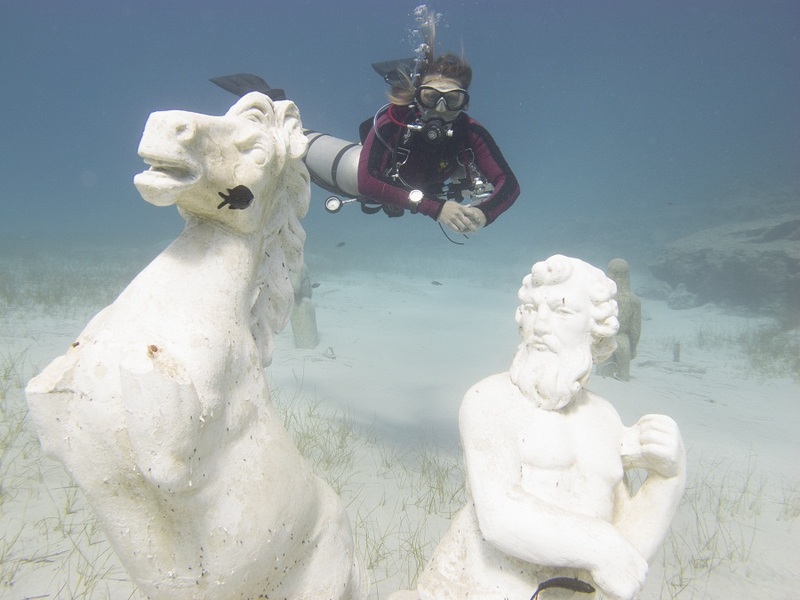 There are a number of reasons for the rising popularity of sidemount diving around the world. I think number one is the safety benefits of this configuration. 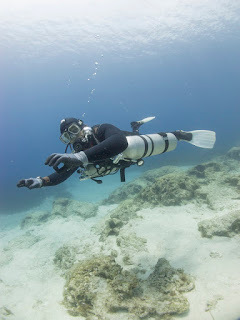 With Sidemount Diving, you can sidemount either one or two cylinders and two is actually the preferred method since it is gives more stability. This means you have more breathing gas to take on each dive with you, so you can stay longer and you have a redundancy gas supply in the event of an emergency. Also there is greater accessibility to the valves and first stages of the regulators. If something goes wrong with these while they are behind your head on back mounted cylinders, it is a guessing game as to what has happened and you must run through pre-determined drills to ascertain what has happened, which valve needs shutting down etc. All the while precious gas is escaping. Cylinders mounted at the side of a diver can be seen and diagnosed immediately. Leading to a much faster fix. The Sidemount Configuration is extremely Streamlined, since the tanks run under the armpits in line with the body. This streamlining helps to reduce water resistance which should allow the diver to travel through the water with greater ease, meaning less fatigue and a better air consumption. I personally have found that the Sidemount Configuration with 2 cylinders is much more stable in the water. It is extremely easy to "trim out" and the way you can attach and detach the cylinders underwater and at the surface, makes life very simple when getting in and out of the water and passing through narrower areas on the dive itself. So, in the opinion of this Diving Instructor, who has dived several different types of Diving Configuration, I can heartily recommend Sidemount Diving for Divers for Ease, Comfort, Better Trim and Safety. Courses are available from Scuba Tech Diving Centre. The PADI Sidemount Specialty takes 3 days and costs just 300 euros (all inclusive). If you want to try before you do a Sidemount Course, we also offer a Discover Sidemount Diving experience. For more information, please contact us at ScubaTech Diving Centre, Cyprus.